LSU provost, Steve Pawluk, sent out an email Sept. 2, 2010, to what appears to be every LSU student who has taken one or more biology courses at La Sierra University since 2006. Because you have taken one or more biology courses at La Sierra University, we want to know about your experience as a student at our university. In light of concerns that have been publically expressed about the ways in which creation and evolution are being taught in La Sierra University’s biology classes, academic administration and the faculty of the Department of Biology want to determine, in an objective manner, what our students are being, or have been, taught on this subject. Therefore, you are being asked to respond to this brief survey. Your responses will be kept completely confidential. Completion of the survey is expected to take about 10 minutes. We appreciate, very much, your time and the important information that you will provide. Thank you. Our biology faculty members of La Sierra University want to teach complex issues effectively. In light of concerns recently raised about the ways in which creation and evolution are being taught in La Sierra University’s biology classes, academic administration and the faculty of the Department of Biology want to determine, in an objective manner, what our students are being taught on this subject. Therefore, because you have been a student in our biology program, you are being asked to respond to this brief survey. We are interested in hearing what you, personally, experienced while studying biology at La Sierra University. We appreciate your honest responses. Thank you for taking a few moments to respond to these 17 brief survey items. Your responses will be kept completely confidential. 1. It is appropriate to present evolutionary theories in biology classes at La Sierra University. 2. Evolution is presented as a scientific working theory in biology classes. 3. The differences between theories, facts, and beliefs were explained in my biology classes. 4. The changing and always tentative nature of even strongly- established theories was explained in my biology classes. 5. Data relevant to testing the strengths and weaknesses of evolutionary theories were discussed in my biology classes. 6. Evolutionary theories were taught as the factual explanation of the origin of life. 7. My professors presented helpful ways of relating science and religious faith. 8. The Seventh-day Adventist view of creation was presented in biology classes. 9. The Seventh-day Adventist view of creation was supported in biology classes. 10. Science is an effective, but tentative, way to understand and explain natural processes. 11. Science offers an effective way to prove beliefs about God and God’s creation. 12. Science and religion are valid but different ways of understanding the world. 13. Science is unable to definitively answer questions about the ultimate origins of human life. 14. Biology professors treated my questions and views on issues of origins, science, and religious faith with dignity and respect. 15. Biology professors encouraged my faith in a personal God. 16. Biology professors supported my faithfulness to my religious heritage. 17. I would encourage others to study biology at La Sierra University. Please tell us a little about yourself so that we can classify your responses appropriately. 20 I belong to the Seventh-day Adventist denomination. September 7, 2010 in LSU, News. This survey is probably being put out by the General Conference as La Sierra would not have wanted to obtain this data itself. LSU cannot pick and choose the data. There have been a few developments that have not been discussed on this website. First of all, there is indication that LSU President Randal Wisbey and Pacific Union President Ricardo Graham have been called to answer at the General Conference. Neither was prepared for the tough questioning by the church administration. Ultimately, the rumor is that James Standish, who works in religious liberty and a lawyer was asked to mediate the dispute and manage what is happening. Another point of order is that WASC had requested that La Sierra release the WASC report but La Sierra has managed to bury it. Only a few copies are known to exist and the LSU administration has been trying to maintain control over that information. The question is whether WASC really did say that Educate Truth and other “outside influences” really had a negative effect on La Sierra. All of this is more sensitive because LSU recently finished a beautiful biology complex. Some of the biology professors haven’t darkened the door of an Adventist Church for years. There is likely to be a symposium in 2011 and La Sierra will ultimately have to answer not to the parents but to the General Conference which may pull denominational accreditation. Millions of dollars are at stake. La Sierra’s abysmal efforts in public relations are a prime example of what not to do. Even if La Sierra ultimately loses out, the GC will shift its support to Loma Linda which has managed to be both a scientific leader and a denominational leader. It may lean liberal but it’s smart enough not to be as arrogant toward conservative students. In the eyes of many at the GC, Shane Hilde and the others here are folk hero simply because of how La Sierra treated them. They have managed to beat the political machine at La Sierra and emerge stronger in the faith. LSU tried everything to smear the reputation of dissident students which really played to the advantage of the students. La Sierra really has the next move here, and more likely than not they are going to take the left-wing tactic instead of making biology department replacements. There are two names that show up repeatedly including Lee Grismer and Gary Bradley. Bradley is too close to retirement to care but Grismer is leading some very important research having nothing to do with evolution. It is believed that Grismer was put out by the department as a sacrificial lamb by the biology and religion departments. Grismer is an asset and should be allowed to continue in his position but he did make some massive mistakes in dealing with dissident students. Hopefully the GC will also take a serious look at the religion department which has green-lighted what has happened in the biology department by providing theological cover. Graham will likely start to distance himself from Wisbey in the near term, and will likely be willing to recommend Wisbey’s resignation. Having said that, Wisbey may have opportunities at smaller liberal arts colleges and be able to bow out gracefully. Graham is pretty much bullet proof as he has avoided making concrete decisions in most areas of the church administration ever since he was in Northern California and had to deal with some problematic personnel issues with the Sacramento Central Church. He punted the ball and went with the popular side and that’s what he’s probably going to do here too. Watch for Graham to be “promoted” to some obscure NAD department or to retire. @J Taylor: You’ve made a lot of observations, but I think the line between your interpretation of events and fact is a bit blurred. But it’s possible you know some things I don’t. I don’t know who you are or why you would know some of these things, so I hope you can understand my skepticism about many of your assertions. If you could email me at shane at educatetruth dot com and perhaps explain further, I’d appreciate it. It’s obvious to me that the independent variable of interest here is time. Can they show that the university and the biology department have been responsive to issues raised? Can they show with real data that the situation has improved? I think the approach is very sensible, and could well have been initiated by the administration at its own volition. I have to agree with Shane Hilde that there is a lot of unhelpful rumor, innuendo, and speculation in the prior post. 1. “put out by the GC”–I wonder who would be in charge of the data, and who would be designated to calculate and publish it? 2. “called to answer”–If they weren’t, I would hope they will be in the future, as they have a lot of “splainin'” to do. 3. LSU’s “abysmal efforts at PR”–definitely true! 4. Grismer as a “sacrificial lamb”–I’ve stated they needed a “fall guy” for many months. He just could be the one. 5. Graham to “distance himself from Wisbey”–He will if he wants to “punt the ball” as you’ve stated he’s done before! 6. Graham being “promoted” or “retire”–Both scenarios would be a way to get him “out” without embarrassing too many people. @J Taylor: Youâ€™ve made a lot of observations, but I think the line between your interpretation of events and fact is a bit blurred. But itâ€™s possible you know some things I donâ€™t. I donâ€™t know who you are or why you would know some of these things, so I hope you can understand my skepticism about many of your assertions. If you could email me at shane at educatetruth dot com and perhaps explain further, Iâ€™d appreciate it. Shane, Why limit the explanation to you only? Why not put it right here so we all can see, evaluate, and respond? @Professor Kent: I thank the idea of a survey is great. While I think they got a late start in implementing it, I’m happy to see their finally surveying the biology students. I have my reservations about the construction of the survey though. @Ron Stone M.D. : I didn’t limit anyone. I let him put it out there for all to evaluate and respond. My response is that I’m skeptical of some of the things he said. How informative, relevant, reliable and statistically significant is an e-mail survey like this? Who can verify accurate results from such a survey? Who verified e-mail accounts? Who verifies the respondents are who they claim to be? The percentage of recent student e-mail accounts compared to known e-mail accounts for former students cannot be equivalent. No, I cannot believe that the GC would be incognito directing something like this. But it would be very informative to know who developed this survey and for what intended purpose and what statistician is being paid–how much money, from what source, to analyze the results. And then what? The biology teachers’ academic freedom is not to be threatened by any means, so of what use is this (unsecured?) e-mail sourced survey of former biology students? Are results, including all mitigating qualifiers going to be shared publicly? Time will tell. I agree with J Taylor that the survey does NOT look like something that LSU would have authored except under great pressure – so I suppose it is possible that it comes from another source. hint: It makes no sense for LSU biology professors to survey students asking the students what the professors are teaching. Dead give-away if you ask me. I also agree that the GC administration in place today is much more likely to take firm action. Elder Wilson stated this explicitly in his “Yes Creation” address but did not get into specifics of what he would do. However he made it very clear that he would deal with this. That is a pretty bold statement for a guy that had just been appointed a day or so prior and to be so specific about a high-visibility issue right out of the gate. If you look at Gallimore’s recent article here you also get more insight as to Elder Wilson’s bold right-out-of-the-gate initiative to meet this problem “head on”. We need to let him know that our prayers are with him and we strongly support his work. @BobRyan: It was suggested by a friend of mine who is a retired professor in my area that the survey was more than likely a product of a firm that specializes in creating surveys. They have no way of verifying the data though because the survey is anonymous. They probably had a lot of help in crafting these questions. It will be interesting whether or not they publish the results. 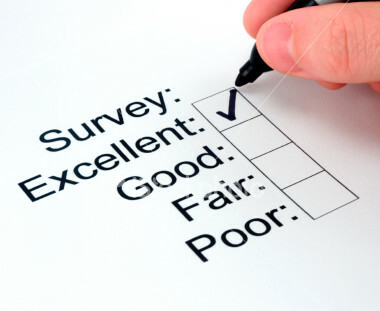 Surveys are not rocket science. Surely the university has behavioral science PhDs as faculty who know the art of survey design. I don’t see the need to pay a firm. Bob, You’re absolutely correct. Wilson is hated even more than Doug Batchelor by many over at AT and Spectrum for just the “bold” statements he made. Liberals believe they can infiltrate our Church slowly and almost imperceptively. However, now that they are being more exposed to the membership, they are very worried, and have stated so many times at the AT and Spectrum websites. The liberals’ major problem is that our SDA Church is expanding mainly in the “Third World” countries which tend to be more conservative (fundamental). Libs know that time is short to try to infiltrate their agenda even moreso into our educational institutions and churches. Fortunately, much of the Church membership remains moderate. Sadly, the Church needs both the conservatives and liberals, as we’re all in the same boat. It’s too bad the extremes cannot get along. While the law is radical, and so is the gospel, these two “extremes” can only work together when placed in a biblical format. I personally don’t like the meaning of “moderate” any more than one or the other of the two extremes. Unity is more easily obtained for a politician by way of “moderate”, but this also can end up without much definition. “Moderate” may well be the key to unite civil government and religion comes close behind. “Tolerance” can be a “dirty word”. Notice, Prof. Kent, the strong movement in the world to create a generic religion based on some common denominator. Such as, “do unto others, as you would have them do unto you.” I suspect all religions claim this idea on some level. But my point is this. Any religious group, sect, denomination, or cult is not defined by what they hold in common with other groups. Their dynamic is always based on how they differ, not how they are the same. So the radical convictions and teachings of any group is how must define the group. So Rome claims the Pope is God on earth. Mormon’s hold to the book of Mormon and its radical claims. Islam claims the right to kill all opposers as does Rome. SDA’s hold the Sabbath and other definitive truths as the dynamic of our existence. And when any group “evangelizes” it will always appeal to its radical claims to make converts. People change “religion” because of the differences, not because of a common faith. And people die for their radical convictions, not some common faith agreement. Jesus said, “I came not to bring peace, but division.” So we must conclude that dynamic truth is always devisive. Adventism as now structured, will never again be in agreement. The spiritual war has begun and will not cease until there is a split. Do you suppose many who are now embracing evolution will in the near future relent and confess their errors? Not likely. They will band together in opposition to creationists who will likewise stand together in their convictions. And the spirituality of the two groups will become more and more distinct. One group has the spirit of God, and the other the spirit of evil. We must keep in mind, the spirit of the beast will always preceed the mark of the beast. People are divided by motive before being divided in action. Jesus’ work was first to change motive and knew if the spirit (motive) was right, the actions would follow. My personal main concern in modern Adventism is not simply the creation/evolution debate. But the spirit behind each concept that leads to a particular conclusion. I know this is not primarily a theological forum, but as long as we keep teaching people as a church, that obedience to the law is not salvational, we are simply undermining the bible and its spiritual principles of salvation. It is the bible that is undermined by such a declaration and the fruit of it not only evolution, but a thousand other errors that will become more apparent in the near future. So, I conclude, we must be more definitive in what we believe and how we explain it, and not less and less definitive to suit and fit the eccumenical movement for the sake of “unity and peace”.